Brands are selecting W&T zippers for their quality and service. W&T selects the finest grade materials and produces zippers using advanced equipment to produce quality zippers that meet rigorous international quality standards. Sliders are the touch point of quality zippers. 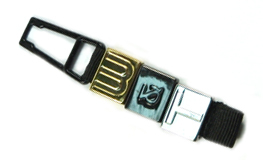 W&T creates custom pulls with a broad range of sliders to create zipper closures that enhance the performance and appearance of your products. Molded accessories bring out the best in any product where performance counts. W&T uses only the best materials to build "tough-as-the-task" accessories. W&T is committed to excellence on several levels, especially quality. W&T holds multiple international Quality Certificates – including CPSIA, REACH, Oeko-Tex and PFOS & PFOA. Plus every W&T product goes through rigorous testing before shipping. For nearly 30 years performance apparel brands have selected W&T zippers for product quality and reliability as well as superior service. W&T zippers are enhancing the reliability of performance products designed for the most demanding of conditions. High performance requires the highest standards of all components. And zippers are no exception. In extreme conditions a blown out zipper is not just an inconvenience - it can be dangerous. W&T is the brand of choice for the world's most demanding performance labels. Join some of the best brands on the planet by building W&T's reliability into your products today. 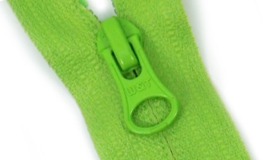 "To produce high quality zippers supported by world-class service – even after the sale"
W&T produces high quality zippers, pulls and sliders, and zipper accessories. 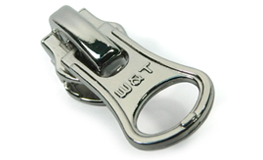 W&T specialize in the production of metal zippers, nylon zipper, water repellent zippers, and plastic molded zippers. W&T develops and produces a variety of metal pulls and sliders to fit the look and functionality for almost any application. W&T has the capabilities to produce a wide variety of accessories for sport, work and casual wear. From metal, plastic, silicone, and string pullers to patches, velcro and badges, W&T has the right look and feel for your needs.